One seasonal Hello Sunshine Greeting Card with envelope. Card size 4 1/4" x 5 1/2". 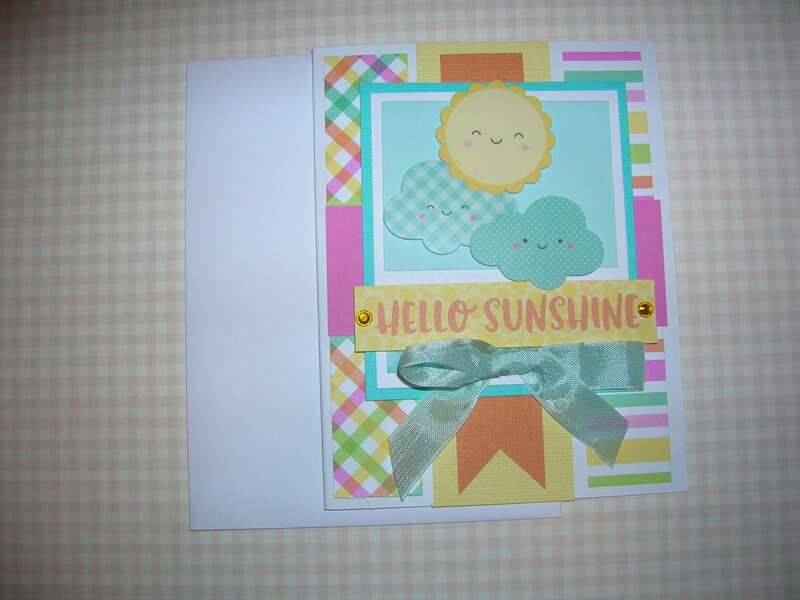 Handmade with designer paper and Spring time stickers accented with embellishments. Card comes wrapped in a cello sleeve for protection. All of my cards are mailed in a padded envelope for extra protection. Easter Card Handmade Spring Greeting Bunny "hello ! " These are so beautiful, going to use them as gift card holders. Great seller, very fast, and great to work with. Absolutely loved it! I Will definitely order from here again! Great card and customer service. Thank you? I only accept Paypal as a payment method. Please pay within three business days of purchase or item will be cancelled unless otherwise notified. All sales are final with the exception of damage in shipment. I will make every attempt to make your purchase a happy experience if given notice. If you have any questions about an item please feel free to ask before purchasing. I will ship USPS, the following day after receiving payment for purchase. If you would like faster shipping than regular mail please communicate that. If there is something in my handmade items that you wish to have in a different color please ask. I will try to make as you wish if possible.